The title says it all! 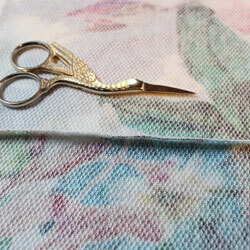 This course is working specifically with stretch fabric, aka knits. Students will gain a solid understanding of how to use an over-lock machine and a cover-stitch machine through two intermediate projects. Projects include a basic knit short sleeve shirt and an infinity scarf. Patterns and drafting notes are provided by studio. Studio is fully equipped with equipment and supplies. Student material list will be available at time of registration. Sequence of garment construction in a shirt. Fabric preparation, reading patterns, pinning and cutting for knits. Seam and hem finishes ideal for knits. 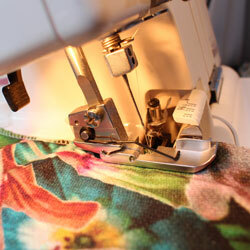 How to use a cover-stitch and over-lock machine. There are no set dates and times for this course. Students need to book above required hours in the studio. A great way to book this course are 4, two hour long lessons once per week. Hourly instructional rates found HERE.